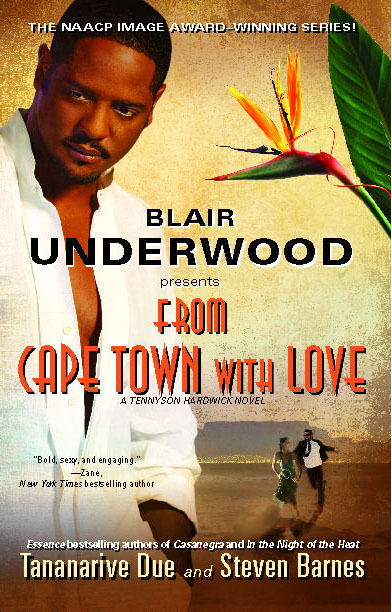 Watch exclusive scenes from From Cape Town with Love starring Blair Underwood by snapping the Microsoft tags found inside the book. 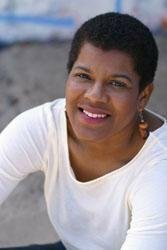 When April left Los Angeles to teach in South Africa for six months, she’d left me, too. We had passed the one-year milestone right before she changed her mind about us, and an ocean and ten thousand miles had suddenly seemed like a small toll to see her again. I wanted to know what had scared her off—but maybe it was written all over my face. She was living in a tiny cinder-block house on a street of modest but well-kept homes in a middle-class section of Soweto, outside Johannesburg. In the bright light from the porch, I saw her jaw shift with uncertainty. Her delicate chin and gently swaying braids, adorned with regal white beads at the ends, reminded me of why some men could be driven to beg. Two or three loose dogs I’d seen outside the gate were barking at me from the unlighted street. Two yipped harmlessly, but one sounded like thunder. A week before, I’d killed a German shepherd in the Florida swamp. The memory of the dog’s last yelp, and his master’s last labored breath, still iced my blood. April’s look told me that I was failing my first test since our breakup. In her place, I might close the door on me. Dying hope flashed hot in my chest. I knew it then: I shouldn’t have come to see April without calling her first, like my father and Chela told me before I left. She’s already with somebody else? A foreign rage tightened the back of my neck. I didn’t know if I was more pissed at her for moving on, or at myself for flying across the world to witness her new life up close. When an older woman appeared behind April in the doorway, I wanted to hug her. April was boarding, so she was living with her hostess! The woman looked about fifty-five, but her skin was so smooth that she might have been ten or fifteen years older. Bright silver hair framed her forehead beneath her colorful head scarf. The slope of her nose and sharp cheekbones reminded me of Alice. Beauty, timeless. Another woman. A different time. Despite the severity of her frown, the stranger’s face forced me to stare. “I’m sorry it’s so late, Mrs. Kunene,” April apologized. A faint living-room light was on, but the woman might have been asleep. It was ten P.M. in Johannesburg, late for an unannounced visitor. I hadn’t thought about the hour when I jumped into the taxi at the airport and told the driver to go to the address April had given me. A lot had changed since the last time I was in South Africa. April said friend as if it was the whole story. I could barely smile for her hostess—not that a smile would have helped my face. Mrs. Kunene looked like she was trying to decide if she should call the police right then, or wait for me to look at her the wrong way. After a twenty-two-hour flight via Amsterdam, I couldn’t fake pleasantries with a hostile stranger. “Come away with me for a long weekend,” I said into April’s ear, not quite a whisper. I’d planned a more elegant approach, but the sight of April’s face had drained my memory. My palms were damp, like my virgin friends used to say in high school. A broad-shouldered man with snowy white hair appeared next, wearing only his slacks, roused from bed. Mr. Kunene might be my father’s age, but his motion was agile and his face was as smooth as his wife’s. 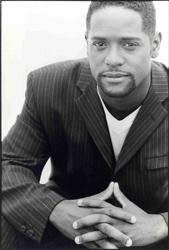 I admired his lyrical accent despite the insult: He’d just said I looked like a gangster. I pointed out the gate, where the tattered taxi that had brought me waited, a dingy gray VW Citi Golf that had once been white. One of the back taillights was missing, and the other glowed dimly. The driver sat inside, awaiting my verdict. The yipping dogs still barked, but the larger one had moved on. April saw the taxi and realized delays were costing me. “Lying comes easier to some people, Ten.” No irony or malice, just a fact. And she was right. If I’m not careful, lying is my nature. My driver, Sipho, was watching me through his open driver’s-side window, eager to see me give him our signal: a thumbs-up if he could drive away, a thumbs-down if he should wait. When I’d told Sipho the story of how April left the States to teach and then broke up with me by telephone, he’d let out a shout, as if she’d shot me. A rich man like you, treated this way by a woman! Maybe he was merely angling for a tip, but he was my only friend that night.